What is the Pell Grant? - The Pell Grant is a need-oriented grant from the federal grant aimed at the low-income students who needs financial support to pay for college. This excellent implementation is awarded to undergraduate students who are yet to receive their first bachelor’s degree. Students who are enrolled in some post-baccalaureate programs may also quality. To qualify for the Pell Grant, you must prove a significant financial need, and you won’t have to repay the funds you receive. What are benefits of the Pell Grant? Universally, the value of higher education is highly appreciated and understood; yet the rates attached to obtain a higher education have never been any greater. Fees and tuition at a university or private college can top up to $50,000. When study materials, accommodation, and living expenses are factored in, the total cost becomes exhausting. Students who attend in-state public universities can save tuition fees, but this doesn’t stop their cost from reaching nearly $20,000 a year (Isn’t that expensive?) With the continued rise in the cost of college, applying for a Pell Grant could be the solution to educational financing. Honestly, grants have proven to be the source of financial aid, as they are importantly ‘free money’ awards – receive a Pell Grant, and you’ll never have to worry about paying back. How Much Will I Qualify For? - An easy way to see how much you may quality for is to use the link below which will have you go through several questions to determine recommendation for a good fit college. Once that is complete you will see between 1 and 5 recommendations. Click on one of those school links, fill in a few more questions and that should give you an estimate of what you may be qualified to receive. Use this Link to see what you may qualify for. As a credit on your account. Directly to you via cash, check, or EFT. Pell Grant Estimate - Several factors can decide the award amount for qualifiers of Pell grant. Currently, the minimum amount rewarded can be about $573. The maximum was $5775 for the 2015-2016 school year. That will increase to $5,815 in 2017. Using the Pell grant calculator will give you an estimate of the amount you are likely to receive. With this, you’ll get a better idea of the dollar amount you may receive in your federal Pell grant. To see if you may quality please click here. Pell Grant Amount - The White House finally declared on September 29, 2016, that the maximum for the Pell Grant amount will rise to $5,920 for the 2017-2018 award years. The amount of aid every candidate received for each academic year will be divided by the maximum annual award they are eligible for that year, giving the annual percentage. Percentages from every year will be added together to calculate your lifetime eligibility used. For Example: let’s assume your annual award is $6550 and you received $6550, this means that you received 100% of your award for that year. Also, if your annual award is $4,000 and you received $3,250, this means that you received 75% for that year. Your annual percentages will be added together to decide your Lifetime Eligibility Used. However, note that the maximum is 600%. After reaching the 600% maximum, you are automatically terminated from further receiving any Pell grants. When will I receive payment? - Payment for student aid fund is known as a disbursement. Naturally, colleges pay out the money to your student account to cover essential costs such as room and board, tuition and fees, and more. You can check your financial aid office to learn more about your school’s disbursement schedule. Colleges are expected to disburse federal student aid funds, including Federal Pell Grants, at the beginning of each academic term. They may also decide to use your money to pay for close to $200 in prior-year charges for fees, tuition, room, and board, as well as other education-related expenses (with the parent or student permission). Your refunds can be used to pay for other college costs, such as supplies, rent, textbooks, transportation to and from school, computer software and equipment, dependent care, including other miscellaneous expenses. Contact your financial aid office or visit your school’s website to learn more about when student aid funds will be disbursed. If you are a new to the Pell grant system, go for an entrance counseling session. If you’re eligible for a Federal Pell Grant, get in touch with the financial aid office to get your student aid funds disbursed quickly so you could pay for supplies and required textbooks. Regularly check your student account if you are expecting a refund or credit balance that is needed to cover other essential expenses. However, the one applied will be dependent on your financial situation. The regular formula to calculate federal student aid For most people, this method is widely implemented. It evaluates your income and assets and determines the amount your family is capable of contributing. This calculated value will then be used to determine the amount and type of aid — such as loans, federal work study, grants — that you are qualified to receive. The simplified formula to calculate federal financial aid In some situations, the FM ignores all your assets and uses only your income to calculate your EFC. Just with the regular method, the amount that you can contribute will be used to determine the kind of student aid, such as FSEOG, Federal work study, you are qualified to receive. You may be eligible for this simple formula if you meet these criteria. To see if you may quality please click here. For this concluding FM model, there is nothing much to evaluate. If you or your family qualifies, the EFC assessed will automatically be $0! Being an undergrad will boost your eligible for the maximum Federal Pell Grant. There are chances that you’ll be eligible for a Federal Supplemental Educational Opportunity Grant (FSEOG). Special conditions for your federal financial aid In some situations, the reported income on your FAFSA doesn’t adequately reflect your financial condition, or some parts of the FM have failed to show your ability to contribute to educational expenses. Sometimes, an aid administrator can change the FM data elements for a better measure of the capacity to pay for school. This is an expert judgment call and can only be made if you can get an adequate documentation of extenuating or unusual or circumstances. An excellent example of the mitigating circumstances might be a significant loss of income due to the reduction of work hours or job loss. As long as you have enough concrete proof of your circumstances, a financial aid administrator may probably use your new projected income in the formula, instead of the original amount reported. If you have or you’re experiencing a significant change in your financial situation, there is a need for you to contact your financial aid office to get more information about what you need to do. For over ten years now, cost attached to a baccalaureate education has leveled up—and so is the average student loan debt. According to reports from wall street journal, “In 2014, an average college student graduated with a debt load of up to $33,000, unlike $8,000 in 1993 and $18,000 in 2004. When planning to fund your education, it’s critical to consider student loans and other “free” financial aid. For students who want to minimize their student loan debt, applying for grants, scholarships, and other types of support that don't require repayment is the best option. However, the Federal Pell Grant, issued by the U.S. Department of Education, requires no form of repayment. Pell Grant application 2018- How Do I Apply? Of course, there is no precise application for a Pell Grant. You will be considered for this award after completing the Free Application for Federal Financial Aid (FAFSA). There are three different ways you could fill out the FAFSA. You can always get your paper applications by putting a call through to the U.S. Department of Education’s toll-free number for federal financial aid. However, the Department of Education highly advised all applicants to visit its website and complete the application. It becomes easier to submit your FAFSA online on time when you keep an online profile with the U.S. Department of Education. What you need to do is make an update to your existing application by the required deadline, and with time, you’ll be considered for Pell Grants. How Will I Receive the Money? After receiving your award letter, your school will disburse your funds. Your issued Pell Grant money will cover essential expenses like tuition, lab fees, registration fees, and room and board. Any remaining funds will be given to you. Because grant money needs no repayment, it can become tempting to treat any leftover money as disposable income. However, to help you stay in line with your budget and avoid any form of unnecessary debt, it is advisable for these funds to be applied to college-related expenses like computer, supplies, and transportation. PELL GRANTS FOR MASTER’S DEGREE - Students with proper funding will have a fulfilling experience as they start out their master’s degree. However, some will find themselves stuck in a maze of confusion as to where to turn for help. Pell Grants can assist you to achieve your dream. Pell grants are free money given out by the federal institution to help you pay for supplies, tuition, room, and board, or other living expenses. Pell grant for Masters is awarded to the application packet that outshines the rest regarding previous recorded academic success as well as a promising future in their choice of field. Approved Courses - There are specific master’s degree courses approved by the federal government for Pell Grant. One of them is a post-baccalaureate program that will get you a teaching degree. So, if you are participating in this course but financially restrained to afford the same, you may be qualified for Pell Grant. One way to check your eligibility is by reading the Federal Student Aid Handbook on Pell Grants! <strong>Pell Grant College</strong> A Pell Grant for college is provided by the government for students who need it to pay for their college. Eligible college students will receive a specified amount each year. Statistically, over one-third of undergraduate students were recorded to have received a Pell Grant in 2014-16. 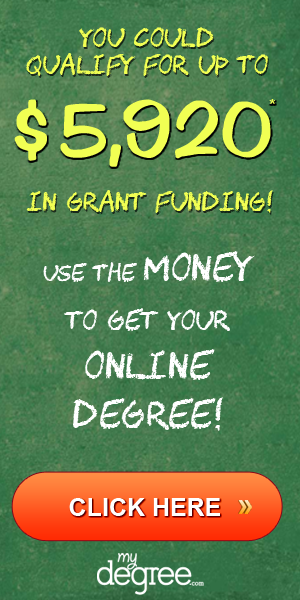 Pell Grant graduate - Pell Grants are not available to graduate school students. Only Loans are made available for grad students, but at higher interest rates when compared to the undergrads pay. Pell grant for study ABROAD - Along with anticipation and excitement of planning to study abroad comes the woes and stress of financing the long awaited trip. It’s difficult to convince your parents to bid you farewell for five months across the seas, but harder to ask them to pay for it. While there are several ways which can assist you to subsidize your trip, the U.S. Federal Government is the best helping hand. Thanks to the Pell Grant. The primary factor to qualify is your financial need - you need to have an Expected Family Contribution (EFC) below the limit determined every year. (EFC measures your family’s financial strengths) So, if the income range of your family is around $20,000 yearly, you may qualify for the Pell grant to study abroad. PELL GRANT PART TIME - Students who attend college part-time are likely to receive less Pell grant aid compared to a full-time student that year. For example, a full-time student qualifying for the $5,000 in Pell aid could receive $2,500 when they attend half time. A student that attends on a quarter scheduled may receive $1,250 or one-fourth their total eligibility. PELL GRANT HISTORY - The 1995 Higher Education Act was created to provide financial assistance to students attending college and to people having a future plan of getting a postsecondary education. While the primary focus of this bill was on Federal Supplemental Education Opportunity Grants, at 1972, changes were made to the Higher Education Act to make way for the Pell Grant. Brief History of the Pell Grant - Technically, Pell Grant was created in 1972 as an adjustment to the Higher Education Act and wasn’t initial known as the Pell Grant. It was formally known as the Basic Education Opportunity Grant, and in 1980 renamed after the Senator Claiborne Pell. Its original mission for creation was to provide assistance to those who find it hard to afford college. Over the years, Pell Grant has gone through a series of amendments. Over the years, these changes have led to varieties of changes to the Pell Grant program, and as well altered the amount of award, the requirements for eligibility, and the funds available for the program to a large extent. While most of these changes were created, benefiting several students, arguments have emerged from critics on how Pell Grant has failed to tackle inflation, and how it’s purpose have been defeated over time. According to the department of education there was a request for $69.4 billion in discretionary appropriations for the department in 2017. That is a 2% increase from the previous year. However, the Pell Grants appropriations will remain at the same level as 2016, at $22.5 billion. With a major Initiatives for Fiscal Year 2017 Pell Grant budget, the focus was on 3 major priorities. First, lever the field for the students giving everyone an opportunity to participate. Two, getting the proper support for the school leaders and teachers. Three, increase the ease and accessibility as well as affordability for students. Copyright © 2018 Pell Grant Guide. All rights reserved.